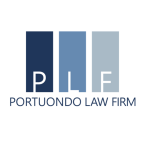 PLF Miami Was Voted Law Firm of the Week - Portuondo Law Firm, P.A. Firm Name & Slogan: Portuondo Law Firm, P.A. We help businesses succeed and avoid liability by providing consulting and well as legal services. We cater to construction professionals by reviewing and drafting documents and resolving disputes. We litigate real estate matters. How did the firm start and how did it grow? When I first started out, the options for practice management software were limited and very expensive. At least it seemed that way. I started out with a very inexpensive cloud-based billing software that was not even geared to attorneys. It took A LOT of my time to customize the program to fit my needs. Even then, all it managed was my hourly billing, expenses, and invoicing. While these things are important, as I grew I knew I needed more. I heard a lot about one of the best known practice management softwares and decided to give them a go. After a year, I had enough of constantly being disappointed by the limits of the software. For too often, I’d ask if the software could do something, and the answer was “not yet,” “I’ll make a note of your suggestion,” or “yes, you can absolutely do that…through one of our (paid) integrations.” With my background in management information systems, I knew that the things I was asking were not impossible and were often not even difficult. For the amount of money I was spending, I felt I was not getting a good return on my investment. I kept hearing about PracticePanther and started to research the software. Chance sent me to Sean Roche, who patiently answered my myriad questions and showed me all the things the software could do. After torturing him for quite some time, I finally signed up. Sean is now my dedicated account manager, so I still get to make him crazy. Since changing to PracticePanther, I haven’t looked back. PracticePanther is far superior than the “better known” software and I love how they are always updating the software with new features. When I make a suggestion, I actually feel like someone is taking it into consideration and I’ve seen things be implemented even in the relatively short time I’ve been with PracticePanther. What is your favorite thing about PracticePanther? Customer Service! Have a system. Hire good help. Learn to delegate, and get comfortable with it. Figure out where you best bring value to your business and spend the bulk of your energy there, rather than micromanaging the people you hired to help you. Get a great practice management software and be nice to your account manager!